Are you going out? Need to get ready for a party or a family wedding? For many girls, this means time in front of the mirror with an array of cosmetics. Minutes, sometimes an hour or more, and even the occasional professional consultation may be a part of the process of enhancing attractiveness. Within our bag of tricks, we typically find similar products—foundation, eye shadow and liner, blush, lipstick, etc. However, everyone looks different with the same products and applicators. You know why? Because everyone has some special tricks to make themselves more spectacular and gorgeous, some with lots of makeup, some with the least no makeup looks. To assist you in the battle of the brands, Shadi Tayari is organising a “2 DAY BEAUTY, AND MAKEUP BOOTCAMP” for all those girls who want to master the tips and tricks of all kinds of the party make up, to make themselves the centre of attention for every event! 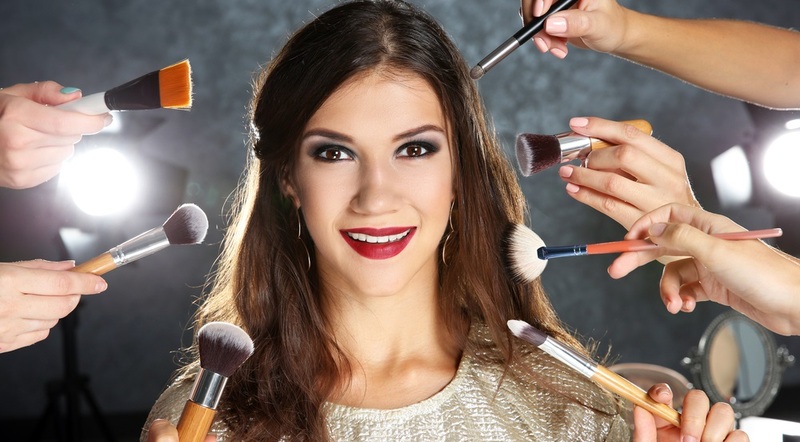 Don’t stop yourself to become a certified party make up pro. From wing liner to doll face we are here to make you an expert on your makeup application. This extensive Bootcamp will help you to learn professional skills with all the knowledge of tools and trade, right products with their correct usage, with perfect angle of applications for both desi and international new looks. Event date and time: It’s a two-day event on 6th & 7th April 2-6 PM. For further Information, please call 021-34169303. Q/A, portfolio making, setting business.